It had to happen that our warm winter would turn cold. After all, it IS January. We've burned stacks of logs in the last few days and pretty much just camped out near the fire (and football games). Erin made the most wonderful dinner for us last night - chicken tikka masala and sweet potatoes with apples. Thanks so much for buying up all the valentines samplers! I Iisted an expanded version as a PDF in the shop. On Saturday's visit to the post office, the teller told me that postal rates are going up on the 22nd. Just in time for Valentine's Day. I guess that had to happen too. But for today, it's slippers, sitting, stitching. And some fantastic left-overs. I've shown you a few peeks at this project, but it's finally wrapped up and in the shop today. This is the inspiration piece finished. Thinking about those sailor's valentines we are making at French General in a few weeks, I'm going to stitch this one onto a small linen pillow. Here's a little guide to the simple stitches I used in my sample. Of course, you can use any stitch you like. It's just fun to have something in the hoop - to stitch at home or take along in the car. I love mixing the different stitches and changing colors. My mom turned 82 last weekend. I know that some of you are big fans of Charlotte, the elder. She's had a really tough year with fewer bloggable moments to share here. Gratefully though, things are looking up and this birthday warranted a big Grammy-style celebration. Maggie started the festivities with a sweet family party at her house. Cake, hats, streamers! She brought out this old photo of Mom. Wow, right? On Monday we whisked her away to the historic 1869 Victorian Mohonk Mountain House in the Catskills for a mini-vacay. Downton Abbey style. For the middle of January, we enjoyed mild weather and maximum fun. By the fire in the Lake Room where we camped out when the afternoon clouded over, we read, stitched, wrote and talked the day right up to its scrabble tournament finish. 82 and she still comes up with "coyote" off the letter tray. We explored the historic building and hotel grounds. Hiked up to the skate house. Marveled at the layered history and natural beauty all around. Mohonk mountain is a hiker's paradise. When the sun warmed things up, we managed a little of that even with the wheel chair. The days at Mohonk finish with a four-course fine dining experience. Mom loved the dress for dinner elegance. She was so happy surrounded by family, tradition, the energetic bustle of life. And all the love in the world. 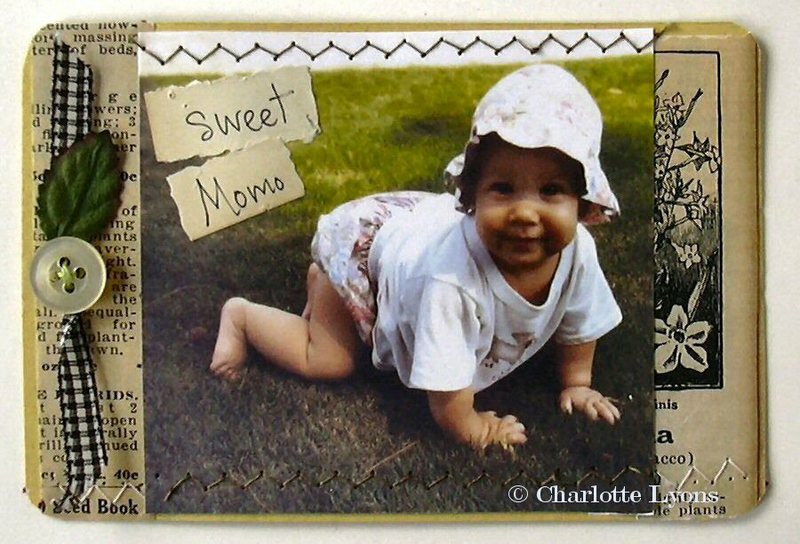 Happy, happy birthday to the original, matchless Charlotte! Our weekend was sunny and warm, quiet and sweet. Moving from one year to the next came simply, without resolutions, toasts or horns. Well, the neighborhood teens did fill the air with whoops, shouts and hollers, but it was fun listening to them celebrate in the darkness. Erin and I took a long walk yesterday with the dog she is minding. Considering the old and the new, we walked along the Aqueduct and ended up at historic Lyndhurst in Tarrytown. A perfect day finished with a delicious dinner she cooked for us and appropriately, a replay of the entire season of Downton Abbey. Happy new year! Cherishing the past, welcoming the future, here's to all good things ahead!